Lindiwe is Founding Director of the Cambridge African Film Festival (CAFF), the oldest annual African film festival in the UK. 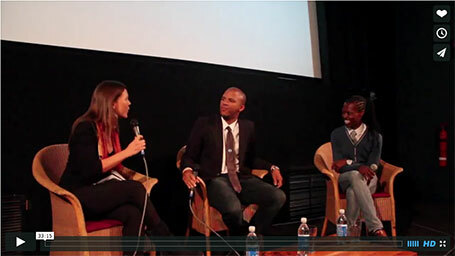 It was initiated in May 2002 by a small group of graduate students at the University of Cambridge (Lindiwe along with Rachel Giraudo, Georgina Horrell, and Mark Mathuray, with the support of James Suzman) as a way of screening the best contemporary African films, increasing knowledge and awareness of African and black culture in the UK, providing a UK audience for African filmmakers, and offering an important counterbalance to the Western media’s stereotyping of Africa. Taking place in and amongst the magical 800-year-old buildings and natural surroundings of the University of Cambridge, CAFF offers a very special experience to guests and has won a reputation as a high-profile and important cinematic and educational event.